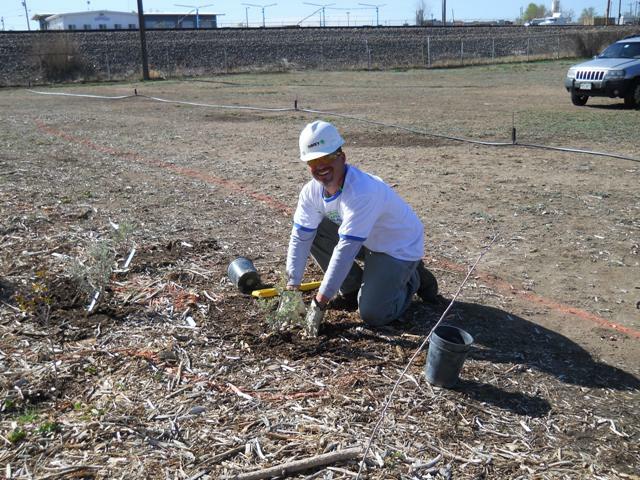 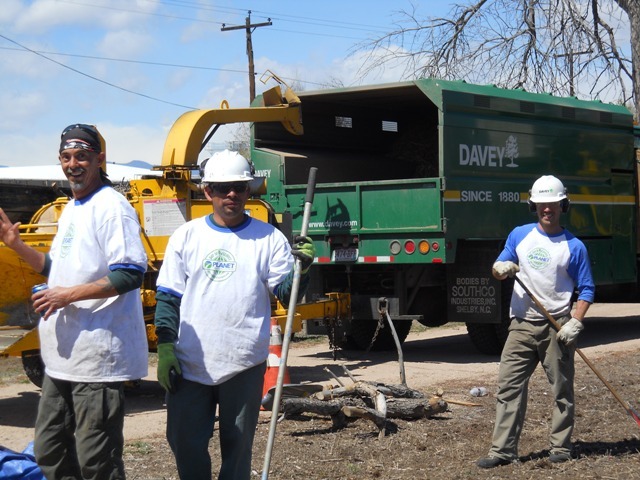 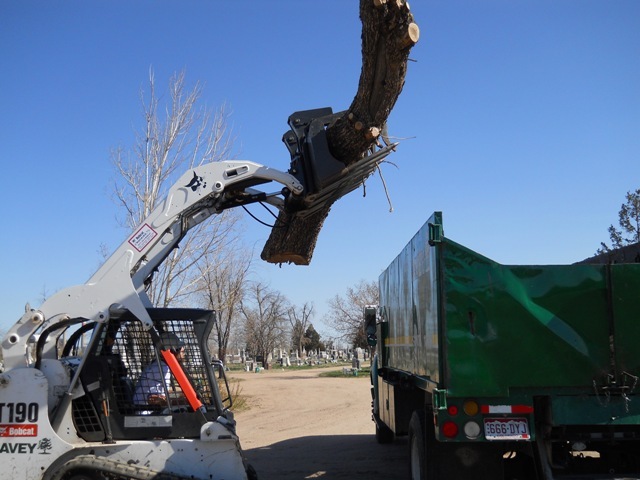 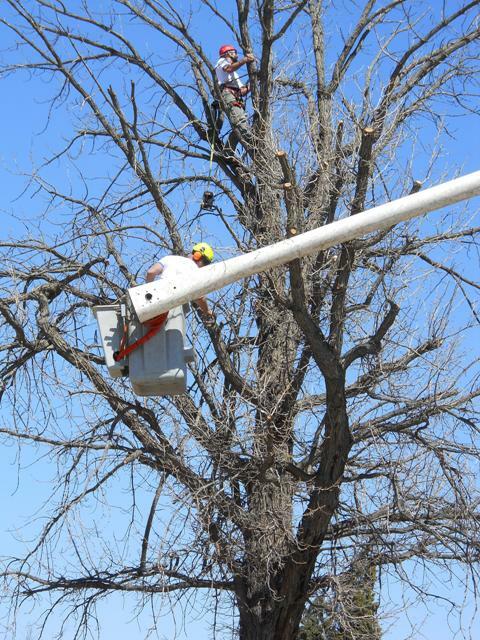 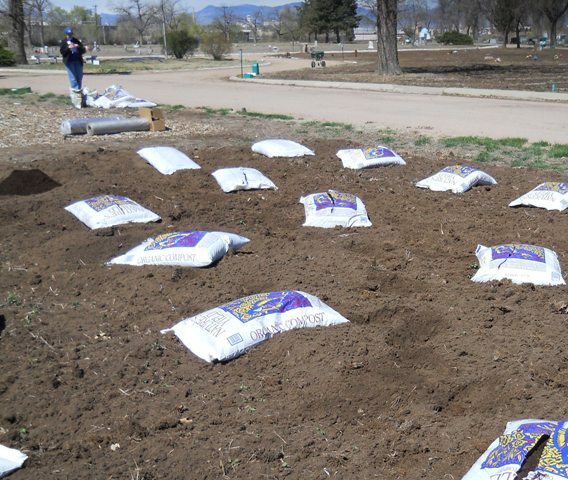 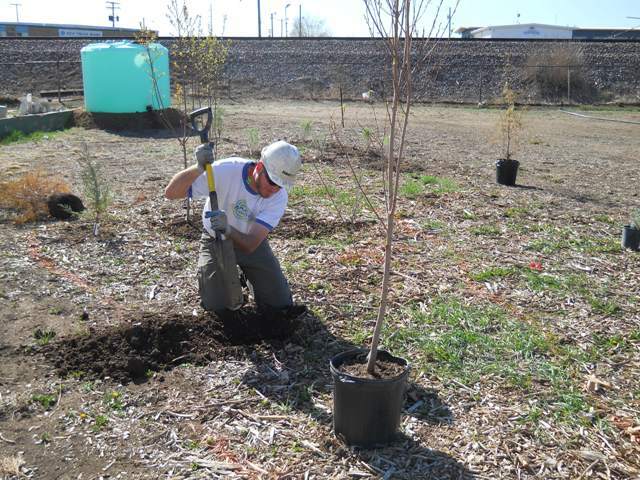 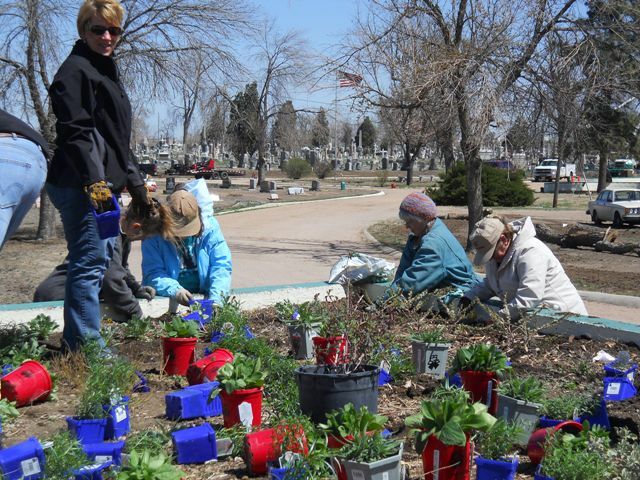 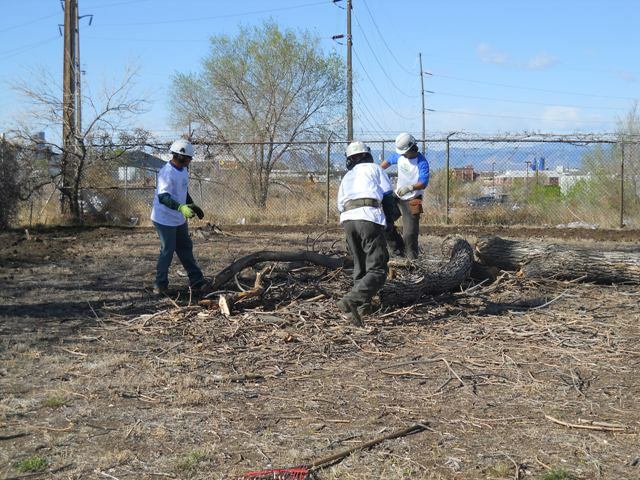 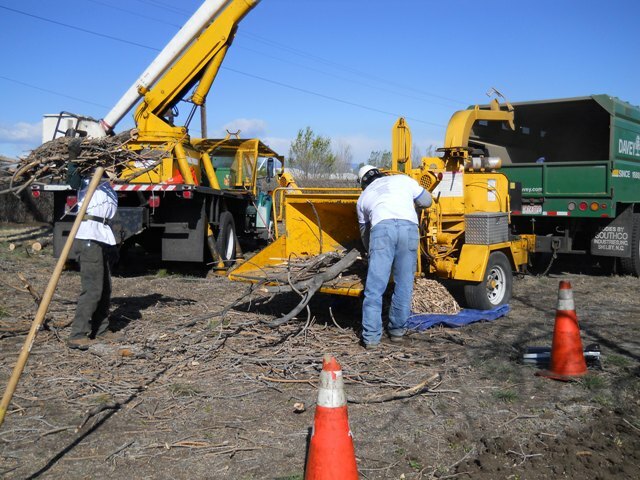 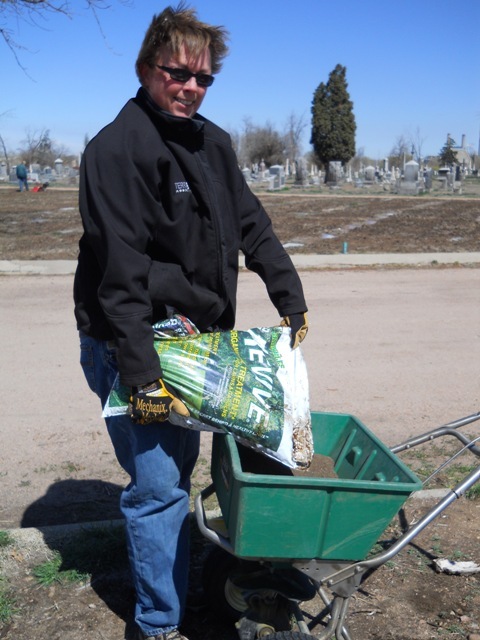 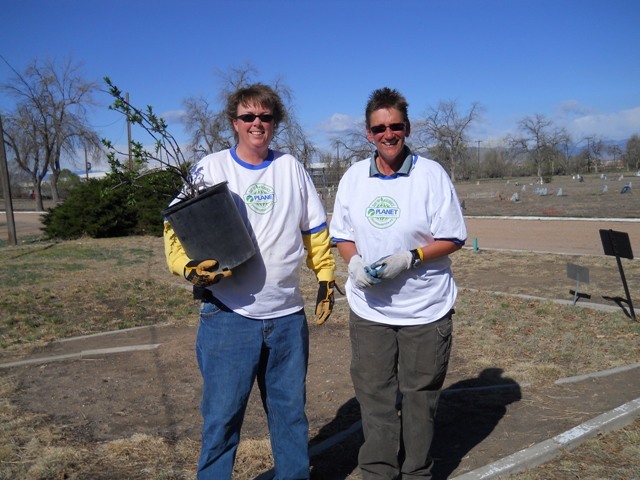 Colorado Arborists and Lawn Care Professionals hosted our 3rd workday at Riverside Cemetery to revive the landscape that has been drought stricken since 2002-03. 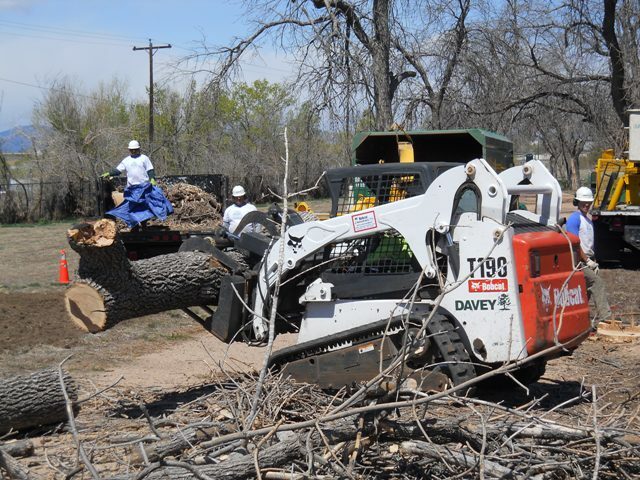 We had 29 CALCP volunteers who worked 5 hours for a total labor output of at least $5075.00 plus equipment and at least $1030 in purchased supplies and approximately $3600 in donated supplies/materials. 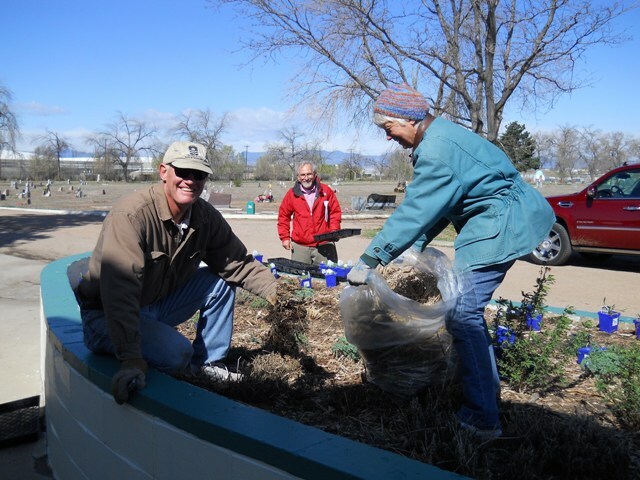 Master gardeners also volunteered for several hours planting the Plant Select plants in the raised demonstration beds. 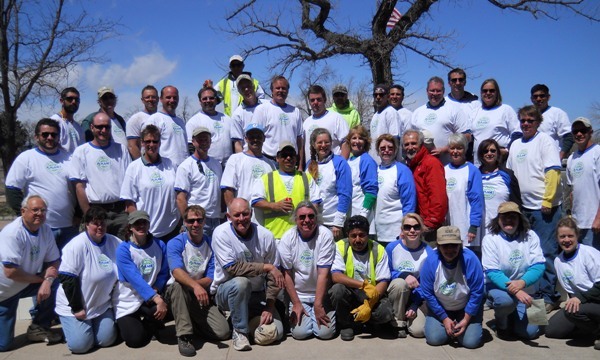 The value of the Day of Service was at least $10,000.00. 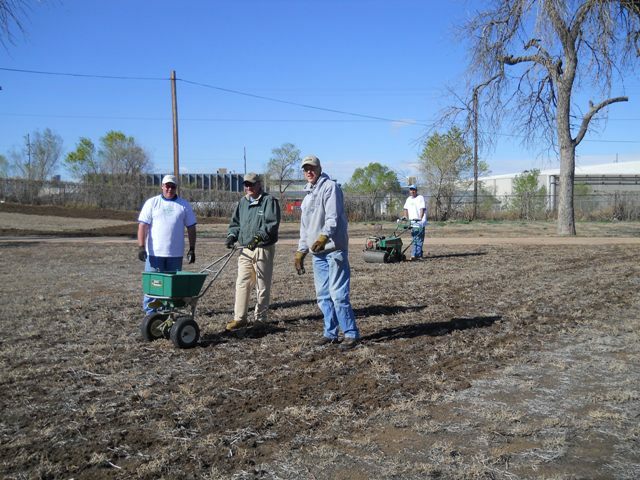 Volunteers disrupted the soil and planted native grass seeds with fertilizer in an area of about 4 acres, felled and chopped up 6 large dead trees and used the tree trunks to mark a parking area, planted 700 Plant Select perennials in raised beds, dug and replanted irises in prepared and amended beds, planted 70 native trees and shrubs around the main administration building, and watered in the new plantings. 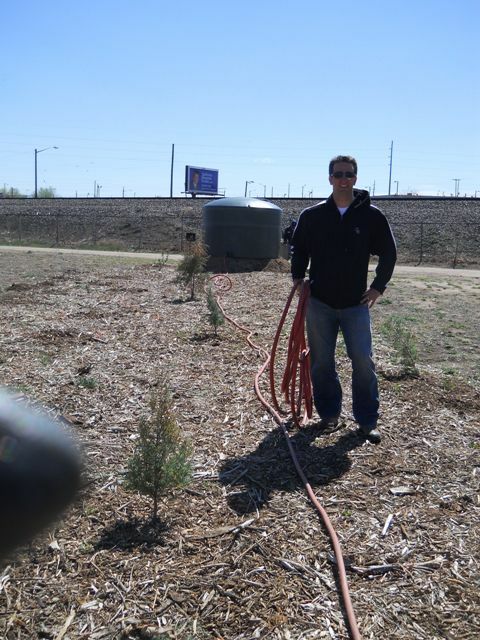 CALCP donated 2 large water storage tanks (one on wheels) and Dan Schneider of Nitro-Green of Longmont donated a 3rd water storage tank so they now have capacity to store 4000 gallons of water on site to use in getting plantings established. 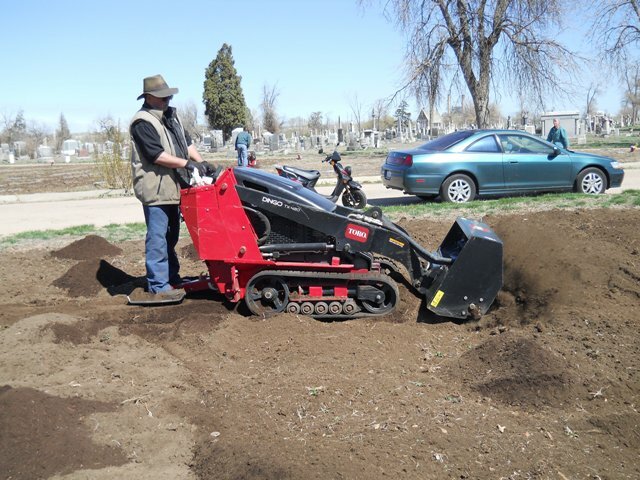 A portable irrigation system was devised and tested. 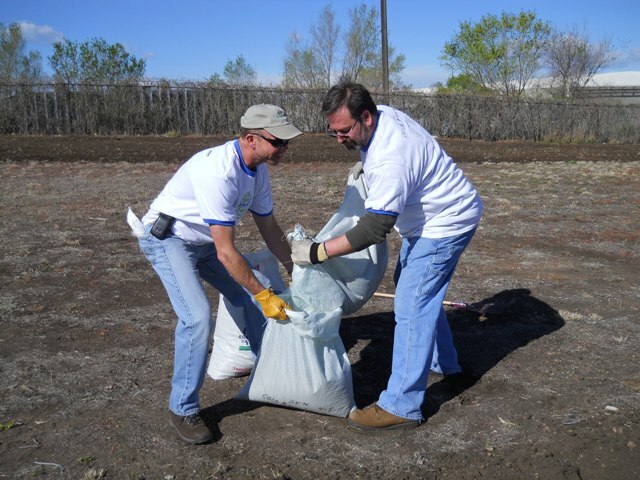 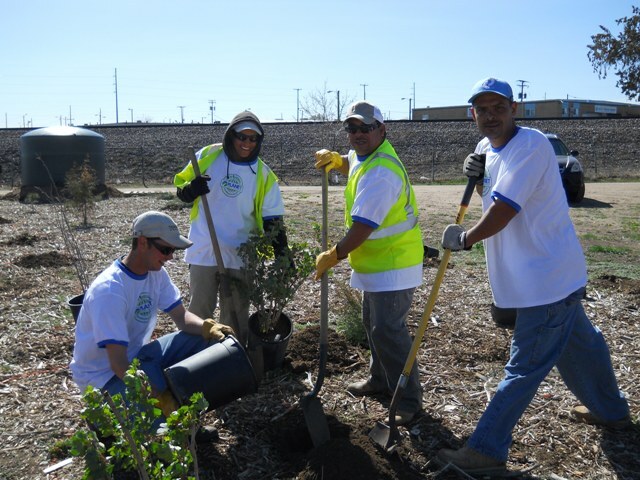 This 3rd annual Day of Service project is part of a national project sponsored by PLANET.